We all love to get caught up in Hollywood drama. Even if we don’t actually purchase a tabloid, we’re all guilty of glancing at them while waiting in the supermarket check-out line. It’s as if we feel a personal relationship with the celebrities whose faces fill the pages. We want to know what they’re doing, what they’re wearing and every other detail of their daily lives. Americans center their lives around what celebrities say and do while the media follow their every move. But what happens when the publicity turns negative and the glow these stars shine in is nothing short of bad lighting? It’s been a few months now since we first heard of Tiger Woods crashing his car outside of his home; since then Woods has been trying to play it low on the radar. It wasn’t until Feb. 19, a whole two months after the world learned the news of his infidelity, that Woods finally made a public apology. There was only one problem — the public didn’t really accept it. From a publicity point of view, Woods tried to stay out of the public eye in hopes that the media would quiet down. From a public relations point of view, Woods made the biggest mistake in crisis management. As public relations students, we all learn that telling the truth is the most important principle in crisis management. It’s always best to tell the whole truth and to tell it quickly. Hiding from the public only makes you seem suspicious and guilty. It also allows the media to make any speculations they want. According to an article in People, John Eckel, CEO of the sports and entertainment company Alliance, said the hardest thing to do when there is a crisis is to address the media. I agree. The last thing any person wants to do is voluntarily throw themselves into a sea of news-hungry reporters. Everything blows over with time, and sooner than later the media will move on to someone or something else, right? This was Woods’ first mistake. In fact, the longer he hid from the public, the more he allowed the media to speculate and bash him. PR practitioners must always get in front of the story when dealing with a crisis. It’s impossible to predict when something negative may put your client in a bad light, but it’s not impossible to steer the public back to your side. Of course, every situation is different and calls for different measures, but there are two things that every successful crisis plan shares: truth and immediate response. Sometimes brands in crisis get so caught up in avoiding the media that they also avoid their more important audience, the public. After all, our job as public relations practitioners is to build our brand’s reputation. Hiding the truth, even if the truth makes our brand look bad, only severs the ties we have with our audience. For Woods, eventually the truth came out – as it always does. The media’s speculations were right, but Woods didn’t let this throw him off course. 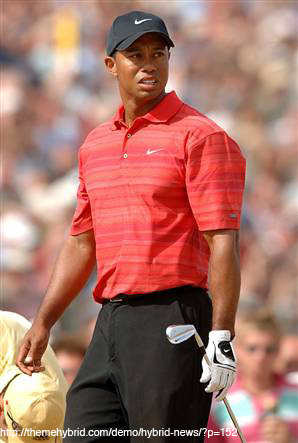 He is scheduled to play in the 2010 Masters April 5 through 11. After all, golf wouldn’t be half as interesting without Tiger. Previous Article I follow, you follow, we all follow … but are PR pros really interested in networking with students? Next Article News from the computer? Yeah right! 1) It’s much tougher to gauge the values of a person — celebrity, sports hero, etc. — than an organization. Therefore, let’s not assume that crisis management approaches are the same between the two. 2) With regards to “mastering” crisis mangement — I’m firmly of the belief that it takes about 5-7 years to master the 101 level basics of crisis management, and the rest of a career to challenge every single one of those basics. I encourage more dialogue on crisis management — and also try to provide resources — at my Web/blog site: http://www.jamesjdonnelly.com. Feel free to drop by and participate.